Offering an appetizing spread of food for your guests is easy with this triple bowl appetizer plate. The plate has three bowls centered around a small bowl which can be used to place toothpicks allowing each guest to pick out their portion at will. 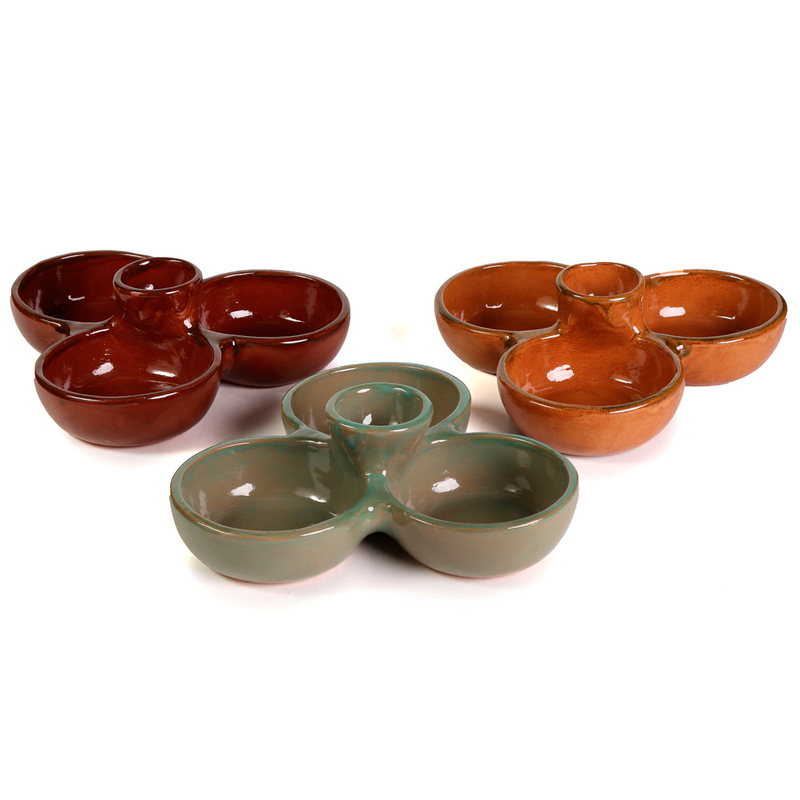 It come in three colors, terracotta, brick red, and green. The texture you can get by making guacamole in a Molcajete just can’t be duplicated by any other means. You have full control over how much to grind and therefore the size of the bits of tomatoes and onions.